Systems Culture: Virtual Scales | gURROO - A new generation of innovative minds. In our project we have explored how individual “kits” fit together to produce affects similar to those of Ai Weiwei’s “society machine” as seen in “Forever Bicycles”. We have used 3D simulation of reaction diffusions and the 3D printing process as tools to explore this theme. 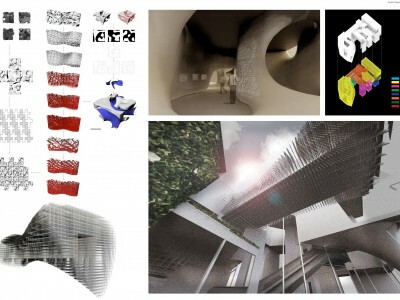 This exploration has produced an architecture characterized by complex spatial interconnections, amorphous forms, transparencies and complex tessellation systems. • Ai Weiwei’s project “Forever Bicycles” represent Chinese people who try to behave extremely modularly with limited freedom. And somehow, people become mechanical kits that assemble an interesting society. • The motive behind this project is that how the complex large-scale “social machine” may emerge from cogs and local rules. • We use 3D simulations of Reaction Diffusion system because they represent the motive. We investigated RD algorithm to produce affect on different architectural scales: Spatial arrangement; Form generation; Ornament. 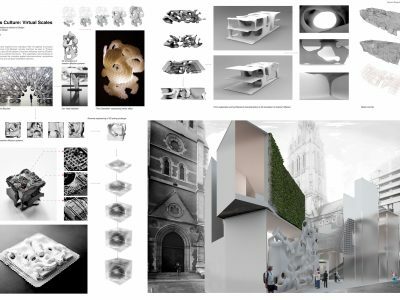 We use RD to create architectural diagrams because it naturally generates spatial void, solid and spatial interconnections. 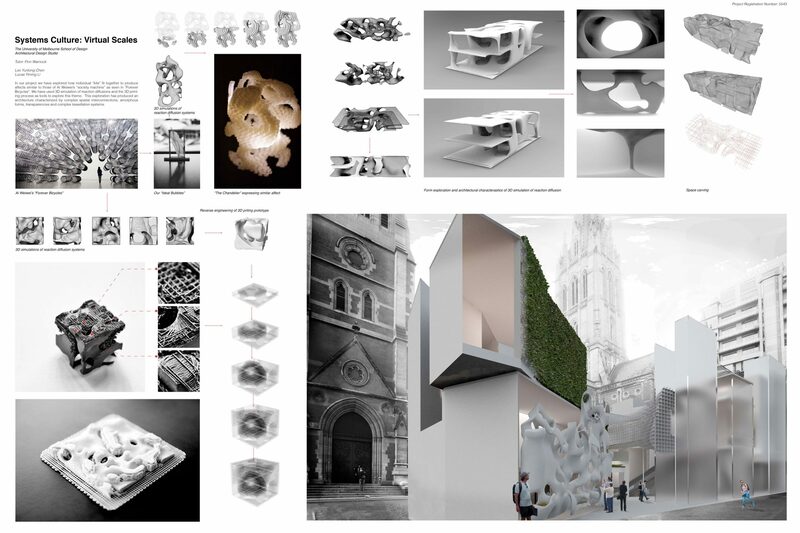 Inspired by the 3D printing process, we use scaffold to create layers of transparencies, limitations and structures. We apply characteristics of 3D printed RD prototype into ornamental tiling system. 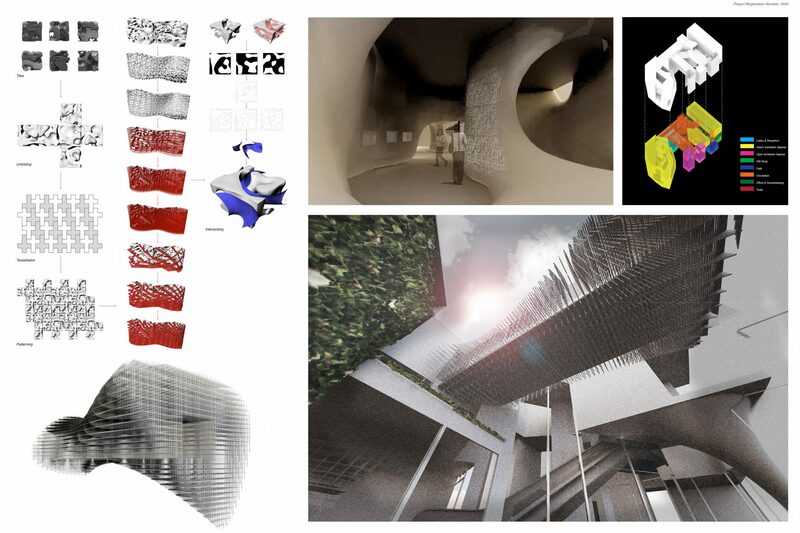 These individual 3D modules form a big image by tessellation systems and wrap around surfaces to archive semi-transparent affect. We also purely use the reaction diffusion form to build a feature wall for entrance.